Like the little black dress, classic black trousers are a year-round wardrobe staple. The trousers are easily dressed up or down for day or night, while remaining polished and flattering. To make sure you’re stocked with the sleekest pair this fall, we’ve gathered our favorite styles guaranteed to give your wardrobe an impressive boost. Click through to shop our polished picks! Update your 9-to-5 look for under $50? We’re sold! 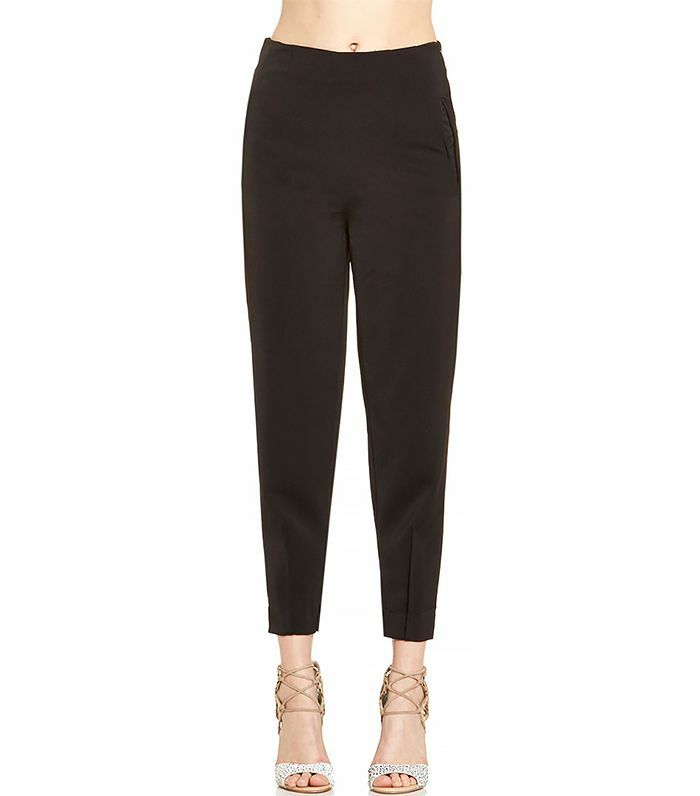 You’ll love the way these high-waisted pants accentuate your waist! These sharply tailored trousers scream CEO. Pair this charming option with a dainty lace top for your next date night. The perfect excuse to break out your ankle-strap heels. Shop more black trousers here. This pair’s relaxed fit and cuffed hems give off a more casual vibe. For a polished business look, style these cropped pants with a fitted black blazer and pointed-toe heels. Shop more cropped pants here. Experiment with the culotte trend this fall in this elegant wide-leg pair. Save these slinky pants for days when you need a little extra leg room.